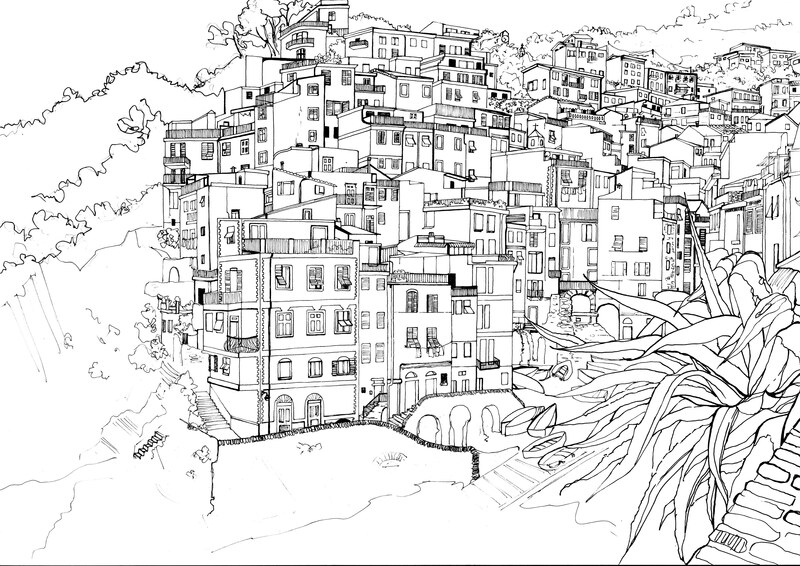 Self initiated study of coastal village, Manarola in Italy. 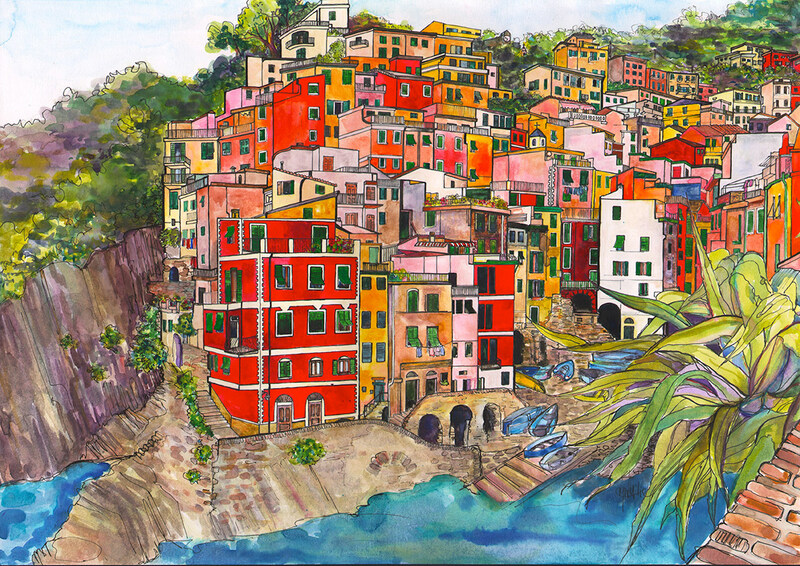 Manarola Italy, self initiated project. Watercolour and ink study of coastal village.